Like millions of divorced parents around the world, Microsoft wants to buy your love, and they're prepared to keep trying until they get it right. A new promotion launched by Microsoft in support of its Bing search engine offers gamers 200 Microsoft Points just for joining the Bing Rewards program. Now, before any of you puff up your angry neck frills and tap out an email complaining about how old this news is, let me reassure you: this is an entirely new promotion, which just happens to superficially resemble a poorly-received, earlier promotion. 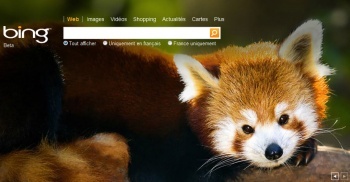 Prior attempts to bribe users toward Bing drew a number of complaints. Apparently many gamers felt that being forced to use Internet Explorer and an intrusive Bing search bar wasn't worth the 200 points. The new program however, ditches nearly all of its predecessors annoying caveats. The email I received this morning did require me to sign up for Microsoft's Bing Rewards program, but didn't seem to mind that I was doing so via Firefox on my MacBook Pro. Of course, this wouldn't be reality if there wasn't at least one hitch; To claim the 200 points you have to remain a member of the Bing Rewards program for at least a month. On the upside, this also earns you 250 Bing Rewards credits (redeemable toward the standard rewards program fare), but on the downside, you're almost definitely giving Microsoft permission to drown your inbox in Bing promotional emails if they so choose. So, is it worth it? That's up to you. I won't be leaving Google for anything less than a cartoonishly oversized bag of cash, but perhaps you don't feel the same search engine allegiance. Regardless, it's nice to see Microsoft learning from its mistakes.